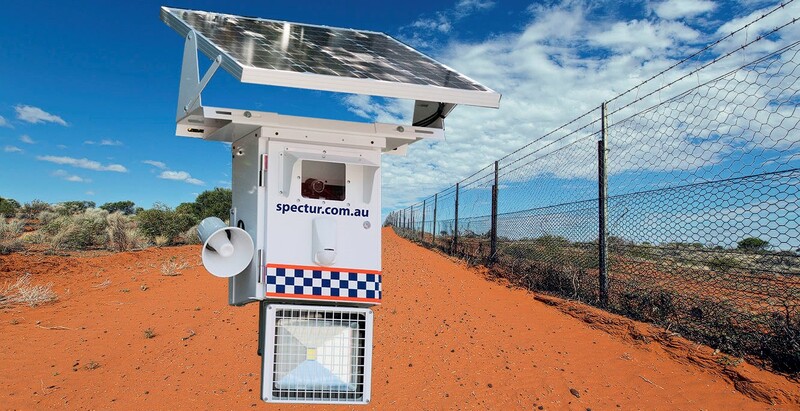 Spectur (ASX: SP3) is a developer of solar-powered, HD security camera networks which access 3G/4G telecom networks. The technology is designed to offer a security solution to commercial and industrial clients in areas where electricity and/or internet access is either unavailable, or unviable. Both Spectur and clients may access the system remotely, and even manage certain functions. SP3 is aiming to become the “default” supplier in this segment of the video surveillance as a service (VSaaS) market. The company is currently expanding operations from Western Australia to Victoria and New South Wales. In addition to its existing cloud-based technology and analytics package, Spectur is engaging in product development. This would further diversify the company’s multiple earnings stream (direct and indirect product sales; technology and platform licensing; third party monitoring services; product rentals; network data rental). Depending on subscription levels, the IPO will raise between $4.25m and $4.555m. This corresponds with 21.25-22.5m new shares being issued at 20c each. A maximum of 5.5m options may be issued at 1c each. Alto Capital is acting as Lead Manager for the Spectur IPO, which opened June 27th. The application period has been nominated to run until July 21st (subject to early closure). Trading on the ASX is expected August 1st. IPO proceeds will predominantly go towards providing Spectur with working capital. Beyond this, Spectur intend to fund the production and installation of its feature product, while also engaging in business development and product development initiatives. A portion of the proceeds will help the company expand interstate. Capital will also be used to initiate planning for potential acquisitions and international expansion, plus cover the offer costs. On completion of the IPO, a total of 39.75-41m shares will be issued. This corresponds with an estimated market cap of between $7.95m and $8.2m. 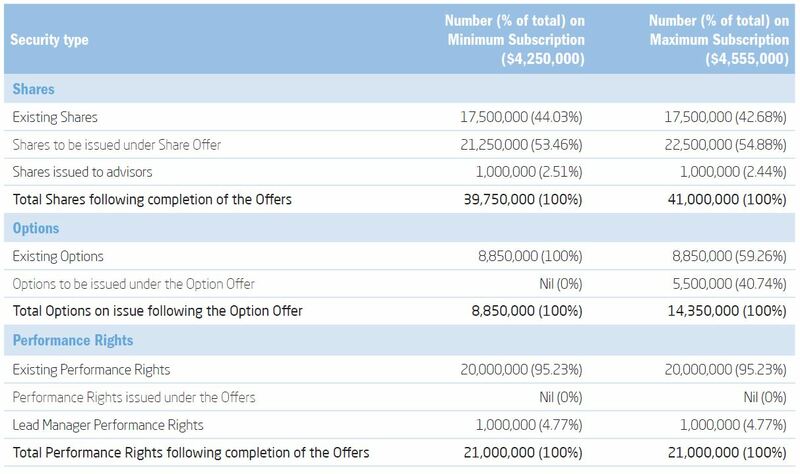 Among the existing 17.5m shares, it is anticipated that a total of 38.9% will be escrowed (including voluntary commitments) for between 12 and 24 months. Options issued under the IPO will not be quoted and are subject to an escrow period between 12 and 24 months. However, options may be exercised at a price of 20c until 31 December 2020. The majority (89.63%) of existing options will also be escrowed. In total, there will be 21m performance rights on issue, all of which shall be locked in escrow. These rights vest in accordance with performance hurdles surrounding revenue milestones in the company’s first 3 financial years after listing.